The Catholic League is PO'd at Larry David for Sunday's episode of "Curb Your Enthusiasm" in which the comedian accidentally splashes a portrait of Jesus with pee. In the episode of the popular HBO comedy, David's recent intake of vitamins causes him to have a strong stream of urine that results in some errant drops falling on a Jesus painting hung in a bathroom -- giving the impression that Christ is actually shedding a tear. The accident, and David's inexplicable instinct not to clean it, leads to a hilarious series of events where the owner of the portrait believes she's in possession of a miracle. As usual, the unscrupulous David character doesn't 'fess up to the splash until it's almost too late. According to Fox News, Catholic League president Bill Donohue found nothing funny about the plot and accused HBO and David of routinely insulting Catholics. Donohue also suggested that David, who co-wrote and produced "Seinfeld," was scraping the bottom of the comedy barrel and "should quit while he's ahead." "When David and Jerry Seinfeld (playing himself) are asked if they ever experienced a miracle, David answers, 'every erection is a miracle,'" Donohue's statement continued. "That's what passes for creativity these days." HBO fired back with a statement asking everyone to calm down, pointing to the show's consistently irreverent tone. "Anyone who follows Curb Your Enthusiasm knows that the show is full of parody and satire," the statement read. 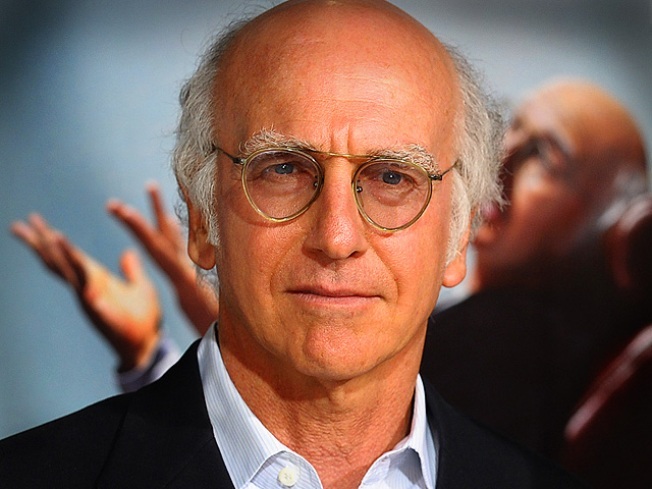 "Larry David makes fun of everyone, most especially himself. The humor is always playful and certainly never malicious."